I have enjoyed many visits to beautiful cities in the Ukraine. Often I have been asked my opinion by guys trying to decide which Ukrainian city to select for a visit. For me, this is a difficult question to answer as each Ukrainian city has its own sense of character and charm. What I have learned however is that an answer exists somewhere within the expectations and personal experiences of the man who asked the question. For example, an American man may come from a large city and therefore be perfectly comfortable with sophisticated Ukrainian women from large Ukrainian cities like Kiev, Kharkov, or Odessa. Another American man from a smaller city -or perhaps a rural heartland- would find smaller Ukrainian cities like Nikolayev, Kherson, Poltava, or Sumy more to their liking. You could say each case has its own sense of comfortable familiarity. To me, what seems clear is that when a man reacts positively toward a given Ukrainian woman and her lifestyle, this has more to do with his personal experiences and similar lifestyle than anything else. Maybe the right approach to meeting beautiful Ukrainian women is first to determine the Ukraine you would feel most comfortable visiting. That would mean your first task should be to learn about the Ukraine itself. Do a little homework. Learn about Ukrainian cities, their locations, their histories. If what you discover feels a little like home to you, then I'd probably say you are headed in the right direction. In addition to what I hope is great information in this article, there's an even bigger treasure of information about the Ukraine right at your fingertips: the internet, with pictures, videos, and first-hand accounts by travellers just like you. Plus, don't forget travel books; they're another useful source of information for zooming in on meaningful target locations. All of which can lead you to a most pleasing, beautiful Ukrainian woman of your dreams. Other than Russia, Ukraine is the largest country in Europe – about the size of Texas. It is located in the Eastern part of Europe. 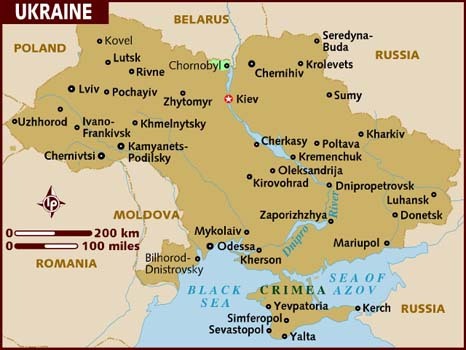 You will notice that Ukraine is bordered by seven countries – Romania, Moldovia, Hungary, Slovakia, Poland, Belarus, and of course Russia. The Western part of Ukraine features the famous Carpathian Mountains and the charming city of Lviv. The Dnieper (sometimes known as the Dnipro) River flows from north to south and ends in the Black Sea. It divides the country in half. Many of the cities mentioned below border on their version of the Mississippi. In the Northern center of the country is the capitol, Kiev. As the river begins to flow a bit eastward and you will find the cities Dnipro and Zaporozhe. Further south is Kherson. Heading back to the Northeast are Poltava, Kharkov and Sumy, which is only a few miles from Russia. Along the Black Sea in the South is the major seaport, Odessa and nearby Nikolayev. Even further south is the famous island of Crimea, which is now part of Russia. Here are the cities of Sevastopol and Yalta. The southeastern portion of the country includes Donetsk, Lugansk and Mariupol. This is the area where some unfortunate conflict has existed recently. However, there is no impact on the rest of the country. The girl of your dreams could be from any city. I have learned this firsthand as well as by observing guys that have had success over the years. What is the best city in the US? A ridiculous question of course, as it depends on who you ask. The same is true among the great cities in Ukraine. However, there is clearly a difference between a large, exciting city and a smaller, cozy town, depending on your preference. While there may be local cultural differences there, you will find beautiful, single women everywhere in Ukraine interested in becoming the wife of a nice, single guy like yourself. Once you have made a choice on the cities that interest you, you can write to ladies and let them know that you will be visiting their city soon. This is a very compelling factor, as thousands of men who will never get on a plane write letters to them. Yours will stand out, especially if you indicate your visit in the subject line. While there is no assurance, you are bound to have some success. When you finally arrive, you will have the strong likelihood of dates. Kiev – 2.8 million. The capitol, has a large land span and is a very fast paced metropolitan city. Kiev has a major international airport called Borispol. Kharkov (the ‘K’ is silent) – 1.4 million. Kharkov is also metropolitan and has a major airport. Dnipro – 1 million. This charming city is in the center of the country and located on the Dnieper River. Odessa – 1 million. A city on the black sea which has much to offer - the beach area Arcadia, a famous opera house and a good dolphin show. Odessa offers a new terminal at their international airport. Sometimes called the “city of humor”. I can recall a wonderful April fool’s Day parade there where everyone would dress up. Zaporozhe – 796,000. Similar to Dnipro and also on the river. It features an interesting “Cossack Island” which depicts life from that period of their history. Lviv – 717,000. Ukrainians are very proud of this beautiful city located in the Northwestern Mountains. Kherson – 320 thousand. Also along the river. Poltava – 318 thousand. A quaint town which will remind you of New England. Total population of Ukraine – over 44 million. Although the city populations are roughly correct, ladies will often come from surrounding towns and villages. What I suggest is that you plan to visit a variety of these interesting cities. Go to Kiev, Kharkov and Odessa as well as Kherson, Dnipro or Sumy. Fortunately for single guys like yourself there are literally millions of attractive, willing and beautiful Ukrainian ladies that would welcome the opportunity to develop a loving relationship. There has been very unfortunate trouble in a part of Ukraine. This is limited to a Southeastern region known as the Donbas Oblast, or state with a population of about 4 million. This includes the cities of Donetsk, Lugansk and Mariupol among others. On recent visits, I saw absolutely no indication of any trouble in the rest of the country. The distance between Kiev and Donetsk is 430 miles. From Odessa it is 455 miles. The distance between Dallas and Houston is 245 miles. In spite of what is shown by the media, travel is quite safe. Again, the girl of your dreams could live anywhere. I have seen success in all of these cities. I think that the best tactic is to visit as many as possible, meet as many girls as possible and decide for yourself. 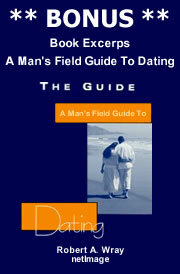 The only factors preventing you from going and perhaps finding that special someone are time, finances and commitment. It would be unfortunate to let lack of will stand in your way as too many do.